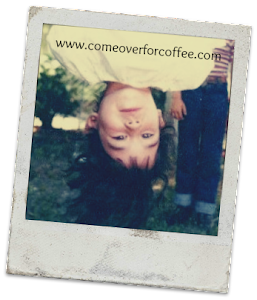 Come Over For Coffee - We'll Talk: Does the One I Pray to Understand? Does the One I Pray to Understand? Reading that today made me pause. We hear Immanuel referenced a lot at Christmas when we talk about Jesus being born, so I’m thinking about it. Does Jesus have an “intimate knowledge of the needs, struggles, and hopes of humanity”? When I pour my heart out to Him and share all the struggles I’m facing this week, does He really get it? Honestly, that concept is tough for me to grasp. I feel like I’m in a losing battle every day fighting for what’s left of life as I know it while this illness takes things from me little bit by little bit. On the other side, I have medical professionals who are playing guesswork and asking me to willingly hand over pieces of my life for a slim possibility of progress - pieces that I am holding on to in a death grip because I have already lost so much. Does Jesus really get it? So, yes. Jesus understands suffering. He understands loss. He gets it. When I pour my heart out to Him, He understands. He is Immanuel - God with ME, a God who understands my needs and struggles and hopes. Where does that leave me, practically? I’m praying to a God who understands. That makes a difference. But I’m also praying to a God who has the power to change my situation and isn’t. That’s hard to handle. Hang on. Jesus dealt with that one too, kind of. In the Garden of Gethsemane, He prayed for God to find another way to redeem mankind. He knew there was severe pain and suffering ahead. Jesus was fully God and fully human, and the human part was not looking forward to the “pierced for our transgressions” that was prophesied in Isaiah 53. So first he prayed for another way, but then He prayed “yet not what I will, but what you will”. Jesus knows what it’s like to want God’s will even when we are dreading the results. That conflict is not sinful. It is human. And when I pour my heart out to Immanuel, God with me, I know He gets it. He understands my needs, my struggles, and my hopes. And He understands my conflict between desperately wanting to be free of this illness and wanting God to have His way in my life. Is that enough? Is knowing that Jesus understands what I’m going through enough to be able to echo His words: not what I will, but what you will? I wish I could say yes. I want to be able to say those words. I’m just not there yet. So I’m praying for God to be patient with me as I want to want His will above all. And I’m resting in the knowledge that He understands what I’m going through. And that is enough to get through today. And probably tomorrow. **I'm going to add a little P.S. to this post. This post was the hardest one I've ever written. I just couldn't figure out how to get this struggle into words. I had some help from some very special people - I want to say thank you to Drew (who walks with me every single day through it all) and Pastor Peter and Cheryl Nelson - thank you for your godly counsel and guidance!